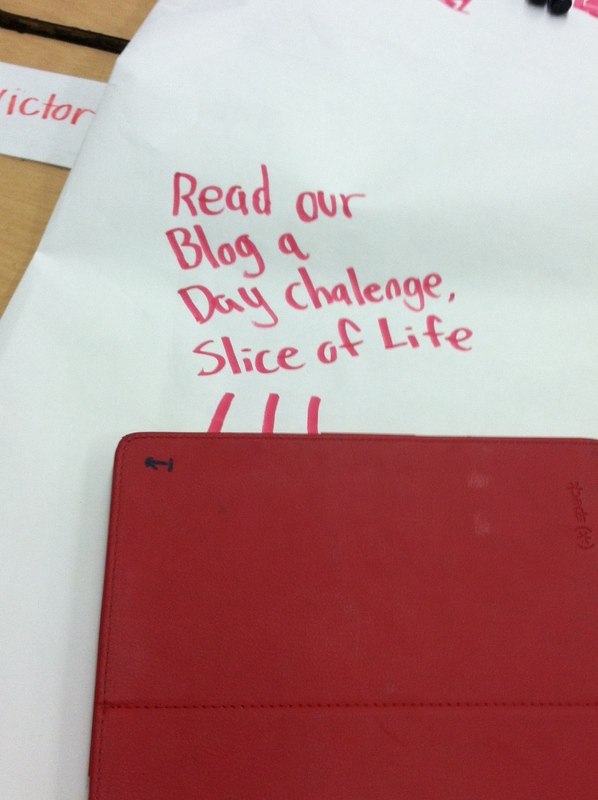 This post serves a dual purpose: 1) celebrating the week with Ruth Ayres’ Celebration link up and 2) the Slice of Life Challenge hosted by Two Writing Teachers. Thanks to Ruth,, Stacey, Betsy, Anna, Tara, Beth, and Dana for sponsoring these opportunities. One. By this time every year things start to snowball. The anticipation of approaching “end points” are all of a sudden here. One of those endings, Open House, is now over. I’m celebrating that is it done, and off my plate, but at the same time, it is kind of sad. This event marks the beginning of the end Which means my students won’t be mine for much longer. Bittersweet. and made sure all iPads were fully charged. It wasn’t something I’d post on Pinterest, but it was ours. Fourth grade students came with their parents to check out their future. 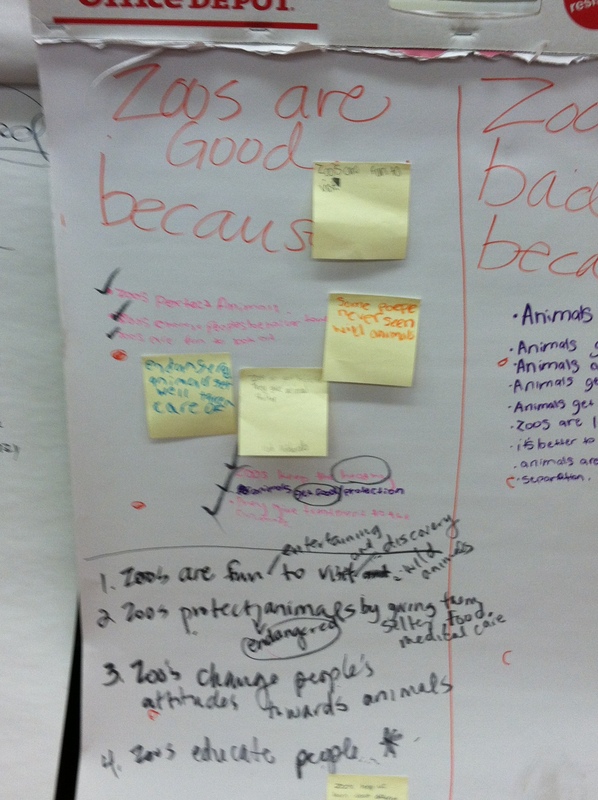 My current students explained the world of fifth grade. 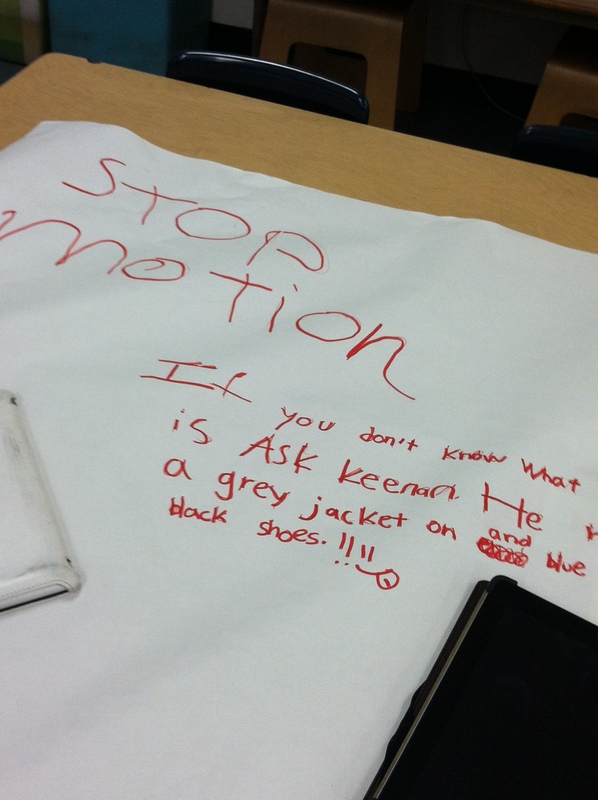 I did not organize this or tell students to do this, they just did. Families came, talked, and seemed to enjoy the low stress, student created and explained environment. Three. 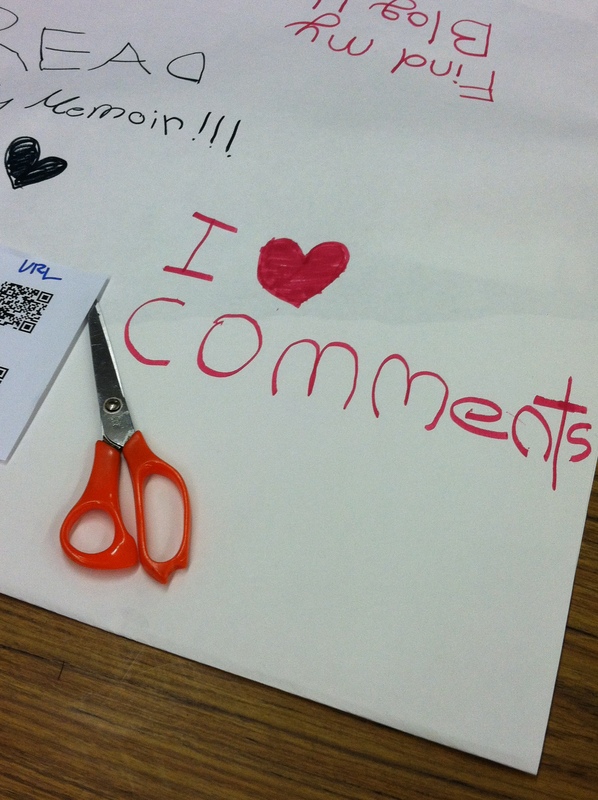 I made QR codes for the classroom blog. I’ve been meaning to do this FOREVER, I just kept forgetting to do it. Such a great thing. I put them out, parents took. No more not being able to get to the site. Why I didn’t do this sooner? This was one of the many side benefits of Open House. It forced me to do it! Next year I’ll do this at the beginning of the year. Four. I have strengths and weaknesses as a teacher, and it’s ok for me not to be excellent in all areas (think really cute charts). It gives me room to learn from those folks (going to get better markers) who are and honor them for their strengths, but at the same time, not beat myself up for not being them. I’m celebrating the differences that help me grow. Five. I put two and two together. Friday afternoon, students were discussing their books, club talk. Effort was less than what I wanted.. Pressed for time, wanting to complete the task in the little time we had, I was less than the teacher I want to be. I gave them a lecture.. Most took it in silence. Two reacted negatively. Completely predictable. It’s not that the students’ performance shouldn’t be examined, it’s my reaction to it that I’m most irritated with. I lost sight of what was a reasonable expectation and instead of accepting it and turning it to a positive, I pushed and stepped backward. Negative never gets positive. I know this, but the moment got me. Here’s to the weekend to recover, rethink and recharge. Happy Saturday. It is an incredible feeling when students take charge. The Open House in this form is much better than a teacher giving a short or a long presentation. Learning and teacher growth are very good reasons to celebrate. You have moments, lessons and days when you are perfect. Think how boring your life would be if you were perfect all the time and made no mistakes. Having a good balance of feeling perfect and growing is what we can all strive for. 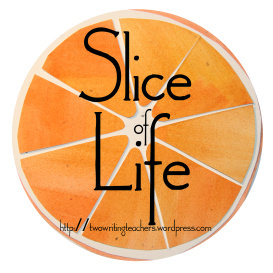 I so appreciate all of your reflections and the peek into your teaching life. Looks like the Open House was a big success. I love attending events with my children at their school and watching all of the families together sharing the learning that has happened. Wonderful things to celebrate and to also celebrate your imperfections! Please consider writing a Digital Literacy post about your Q Codes and linking up tomorrow or next Sunday on my blog for DigiLit Sunday. I need to know more. This is something I am pretty clueless about. I love that you gave your students the responsibility of the Open House. It should be up to them to showcase what they’ve been learning. 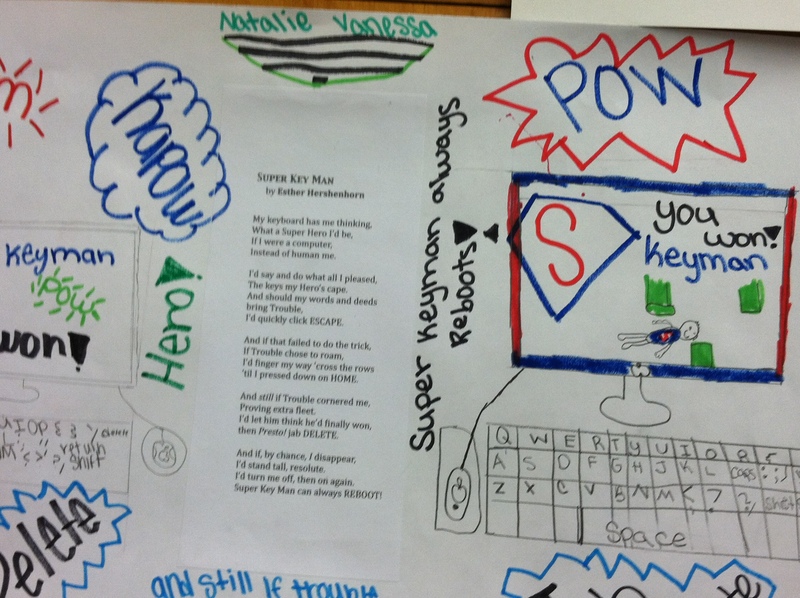 Don’t you think some of the Pinterest charts are not made with the kids, but teacher embellished later for posting? Your charts show real learning. I like so many things about this post! I think putting your students in charge of open house is great. I chuckled when you said it wasn’t anything you’d put on Pinterest, but I think parents enjoy authentic process and product. The QR codes are great! Your honesty about your students’ effort is appreciated. We’ve all been there! The students planning, creating, double-checking, presenting for open house-think what amazing learning they had instead of just following your directions. I love hearing about it, and seeing some of the picture/results. Great teaching stuff! As for the other, try not to beat yourself up too much. None of us are perfect, sit with ‘whomever needs it’, apologize (if it was that bad) & move to the next thing. That’s all anyone can do when they make a mistake. Another way to look at it is what if you weren’t even thinking about it, didn’t realize that “maybe” it was a mistake. Reflection is good! I absolutely love that you let the children host the open house! 🙂 I agree that it is for the children to showcase their work. I am sure that they really felt like they were a part of it all! 🙂 What a wonderful time! I love that you let the kids take the reigns for the open house. That is so important. It IS their show. Thanks for remembering that! 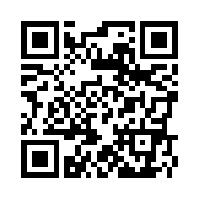 Will have to scan the QR codes to check out the blog. I’m going to grab my cell phone now. 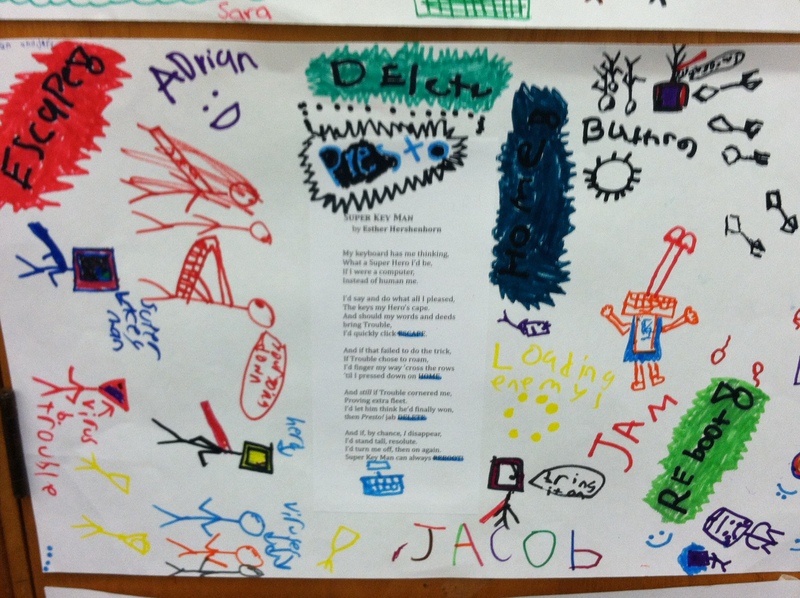 I’m sure the parents enjoyed seeing their children’s work front and center! You can tell by their writing that they are learning a lot this year! Congrats to you to take the time and reflect on your own teaching. It seems like we always have to move forward and push ahead, but we need time to reflect too! Have a great week!